The high quality and performance of AXI 2217 V2 motors mean that they are a perfect base for development of the new AXI 2217/20 Gold Line V2. 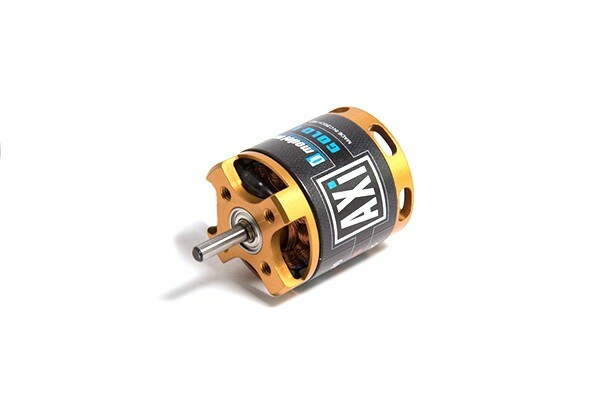 New, small, and powerful motor AXI 2217/20 Gold Line V2 with rotating case is suitable for trainers up to 900g, 3D models up to 650g and for sailplanes up to 1100g. Hardened steel shaft have 3.17mm diameter and is supported by two large ball bearings which ensure very good mechanical stability. 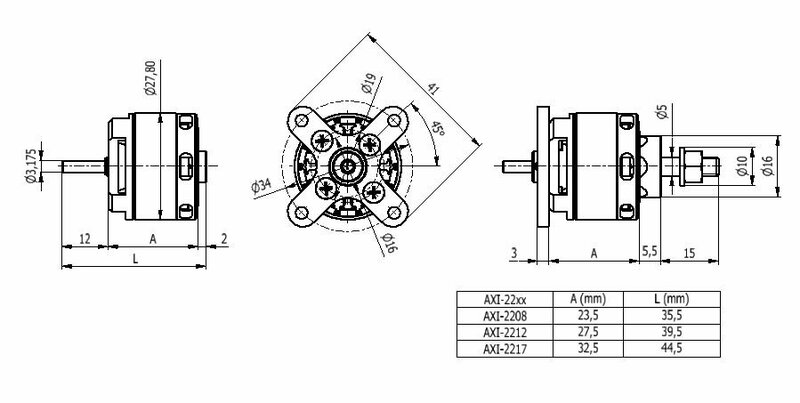 Thanks to using newest materials, this motors achieve in their weight category extremely high efficiency and high load possibility. AXI GOLD LINE V2 with the high quality of manufacturing, reliability and performance are the best outrunners available in the market. 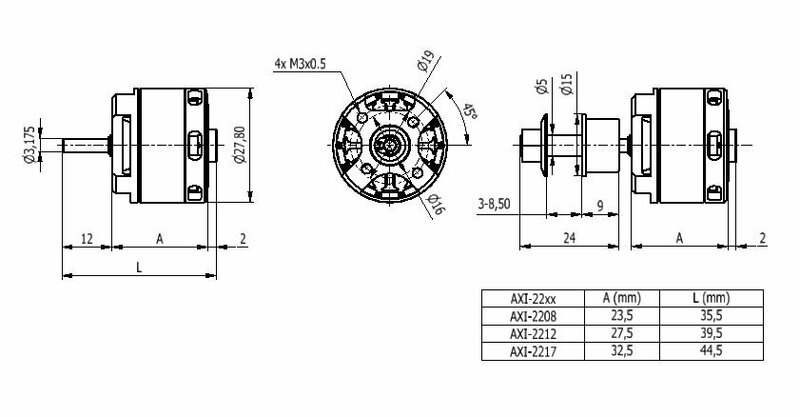 A feature of the AXI design is provision for radial mounting (see picture).